Skip the May OSCE exam—but attend the Live Classes! CITY Law Lecturers are busy checking and rechecking your MCT/OSCE manuals, making sure they're Concise, Current, and Complete. Electronic and new printable materials now included for all subjects. QLTS Advantage is the original, most experienced training provider for the QLTS assessments (MCT/OSCE). Partnered with a real Law School – CITY, University of London – our courses are created by university lecturers and professors. We are the only provider offering Live Tuition, the key to our delegates ongoing success with pass rates well above Kaplan's. Since 2003 we've trained over 5000 happy clients and we know exactly what it takes to help you on your way to becoming a dual-qualified English Solicitor. why the Advantage is real. to ensure you pass in November! 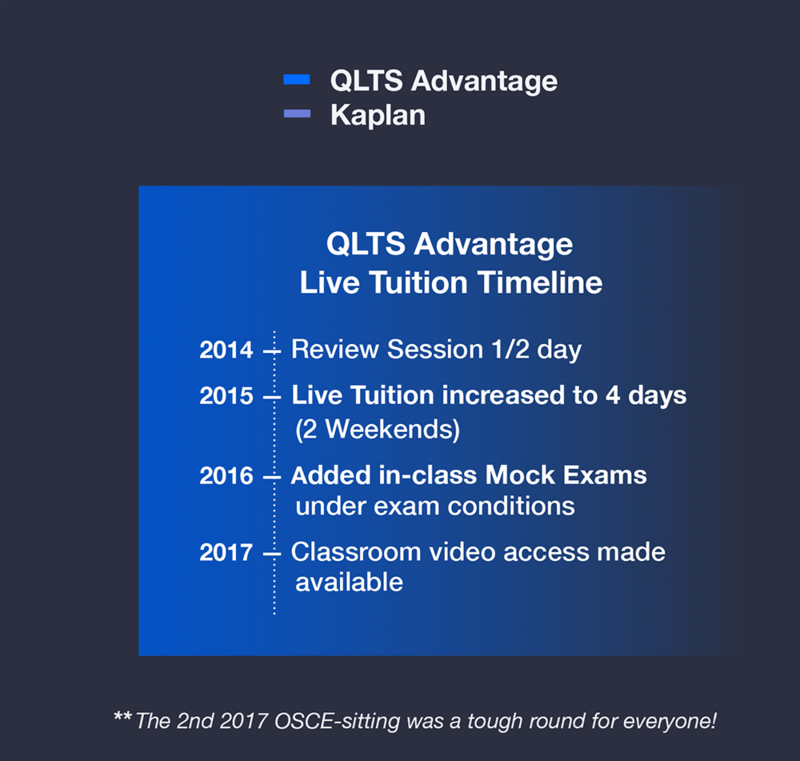 Live Tuition makes QLTS pass rates soar! 24 years experience creating & directing the LPC program at three Universities. Most recently promoted to Associate Professor in April, 2018. One of our staff "Superstars", Robin Sellers is our specialist on Criminal Law. He's also an active Barrister, serving numerous high profile cases such as a recent appeal concerning chemical weapons. Watch his latest MCT classroom session above. A former winner of a national award for Plain English drafting, Stella has spent much of her career training lawyers in major City law firms, and is currently directing her talents towards training new Solicitors at City Law for their QLTS program. Formerly SRA LPC external examiner; now lectures for City, University of London, QLTS program. Graduated from University of Cambridge, Law, First Class honours, and has 16 years' experience in legal training, including delivering courses, designing paper and on-line materials, leading course design teams and developing course design policy. Professor of European Union Law, Jean Monnet Professor of European Law. As the joint editor of European Law Review, Panos contributed to training programmes for judges and civil servants and he's also a member of the Athens Bar. He has written extensively on the law of the external relations of the European Union, covering trade, economic and political relations as well as the Union's security and defense policy. Ranked in legal 500 and Chambers & Partners as a leader in the field, Angela has been an expert on the Mental Capacity Act for over 10 years, during which she has assisted with resolving difficult issues in dispute between family members and public bodies concerning incapacitated adults or identified issues which require resolution through legal proceedings. Currently the Acting Module Leader for English Legal System (LLB), Edward's experience includes working with a major management consultancy practice on change management and regulatory projects across financial services and the public sector. He also worked as a County Court Advocate around the Southern Circuit on mixed-civil cases. I am very happy to say that I passed the OSCE with 73%. The theory is one side of things, but the way it is taught through QLTS Advantage is closer to what the actual exams are like. This helped, because when I concluded the course materials I had then done multiple examples and the lecturers assisted in my understanding of where I was right/wrong with each one thereafter. By teaching through a practical method, the actual exams were less daunting. Just want to thank QLTS Advantage, and particularly the wonderful lecturers David, Stella and Joe for all the assistance. I work in a busy aviation finance practice in Dubai and didn't get too much time to study, but your videos and exercises (together with the guidance on how to work the outcomes and gateways) were very helpful. 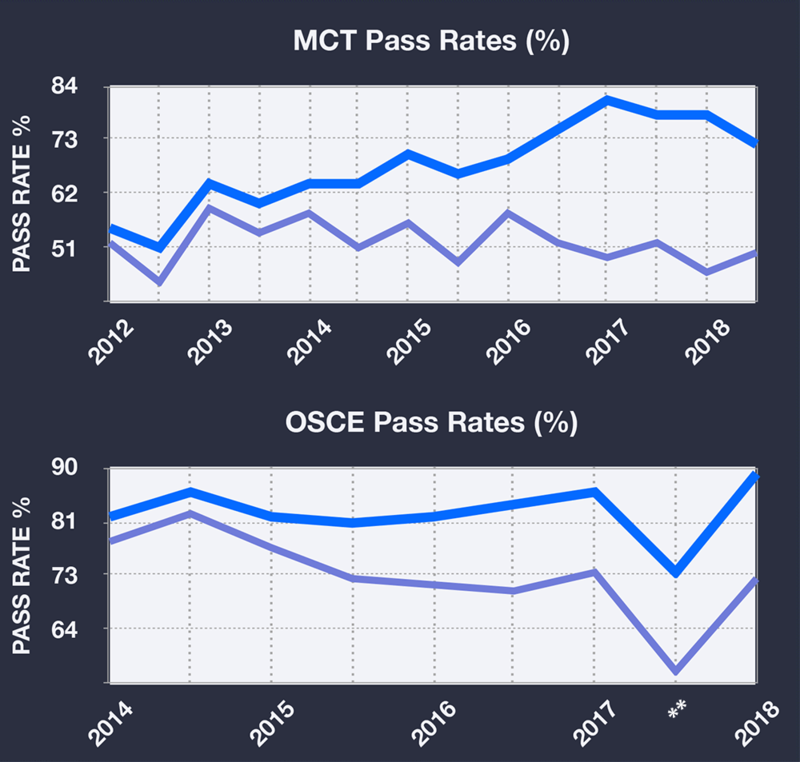 I passed the OSCE with 63%—although I started studying only 10 weeks before the exam! The live tution was definitely of help. The psychological aspect of being there, meeting the lecturers face to face and speaking to other candidates does boost confidence. The learning materials and recorded video is great. I wish I could have access to learning materials forever because the logic of instructions on skills can be applied to everyday practice. All lecturers were amazing. The course materials are very succinct and cover off exactly what you need to pass the exams, while another course provider's textbooks were far too in-depth and unrealistic in terms of the time suggested to study for the exams, particularly while working. In my opinion, this exam can't be done without a course provider, unless you have a photographic memory, as there is far too much content to cover. You need assistance navigating which concepts are important to know and understand. QLTS Advantage provides access to tutors who will guide you along the way. Lastly, the online portal is very easy to use and I like that I could study anywhere on various devices! All in all, I was very happy with the support, materials and lectures provided and I have no doubt you will too when you choose them to help you prepare for this mammoth exam (which I did and passed whilst heavily pregnant). I just passed my MCT with a high score this February, all with the help and competent guidance of QLTS Advantage. QLTS Advantage provided me with a competent, comprehensive and thorough overview of all the subject matter needed to pass the MCT, focusing on the essentials, not having to waste time going through tons of material that one doesn't need for the exam, nor in many instances for the future practice of law. The time one saves and the confidence one gains is worth every penny of the program and so much more. QLTS Advantage makes the material engaging, fun to read, and fun to watch. With it's live classroom sessions in London, QLTS Advantage provided me with the penultimate combination of online self-study and the interactive live classroom experience. The revisions days in London were invaluable. I spoke with folks who used other programs, and those who did not use QLTS Advantage seemed disappointed in the materials they'd received. In contrast, I felt well prepared. with the level of student support that comes with signing up to the online MCT course. Staff members are always there to assist if I have any queries (by phone and mail). The material is comprehensive and provides an excellent over view of the 11 day one outcomes. I am working hard and the reassurance that I have this level of support just boosts my confidence even further. I'm actually excited about writing the MCT in July. They allowed me to sit the exam with all the confidence and preparation needed to pass. I am pleased to inform you that I have passed the OSCE assessment and finally I am a qualified England and Wales solicitor. I really want to thank you and all your colleagues within QLTS Advantage for the great support, without you guys I would have never achieved this success.